In today’s world, everyone is familiar with cheese, which is available in several different forms and finds its way into various food and beverage applications. Every food item is more delicious when made with cheese. But the way cheese is produced might be an issue for the vegan population. 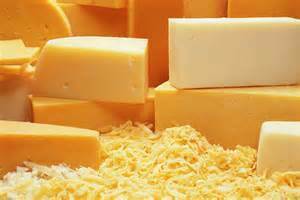 Cheese is produced by an enzyme called rennet, extracted from the stomach of ruminates, which helps in the curdling of milk. The changing lifestyle to include more healthier food products in one’s diet along with the scarcity of ruminant abomasum to stringent laws have forced cheese producers to identify alternative sources of rennet. Rennet alternative is in the market for quite a sometime and demand for rennet alternative is growing, owing to increase in the number of halal and kosher certified products. An increasing number of individuals, globally are shifting towards vegan diets, owing to various factors such as issues related to social taboo, cultural or religious limitations or restrictions or simply because vegetarian diets have proved to be more beneficial and healthy than non-vegetarian cuisine and products over time. In addition, concerns regarding the humane treatment of animals have also been playing a vital role in this steady shift towards vegan diets. Rennet alternative becomes the best ingredient when it comes to cheese processing, as this cheese remains vegetarian-friendly and the cost of making rennet alternative also remains cheap. Moreover, halal and kosher is no longer just a purely religious issue. Halal has now become a universal concept and halal products are now coming into the mainstream market, because of which use of rennet alternative is increasing. Halal certified products have expanded from the purview of identity as a specific community product to mass consumer product hence opening new avenues of trade and business for market rennet alternative players. Some of the key players operating in the global rennet alternative market are: Chr. Hansen A/S, Koninklijke DSM N.V., Pfizer International, Danisco A/S, Nelson-Jameson.Inc, Mayasan Food Industries A.S., GlaxoSmithKline plc, AlindaVelco S.A., Österreichische Laberzeugung Hundsbichler GmbH, Biocon Limited, and Novozymes A/S among others. It is anticipated that the rennet alternative market is dominated by three big players, Chr. Hansen A/S, Koninklijke DSM N.V. and Danisco A/S. In rennet alternative market, Chr. Hansen is the leading producer of Fermentation-Produced Chymosin, a type of rennet alternative. The global rennet alternative market has evolved on the backdrop of natural rennet and is expected to drive the global rennet alternative market over the forecast period. In the rennet alternative market, Europe is estimated to account for the highest CAGR, owing to increasing demand for vegan food products. Due to lack of any uniform centralized institution, local agencies are still the prime vector for certification of halal products in which rennet alternative based cheese are also present. The advancement in pharmaceutical drug formulation processes, coupled with the ever-expanding biotechnological process continue to create a path for the development of rennet alternative. The rennet alternative market is also anticipated to benefit from the ongoing surge in demand for vegan products, creating more opportunities for growth of the players of rennet alternative market. There are not many regional players those who offer rennet alternative. Thus, companies could focus on manufacturing, expanding, and exporting their products worldwide, resulting in expanding their global presence for rennet alternative market. Therefore, the global rennet alternative market is expected to have a positive outlook over the forecast period.